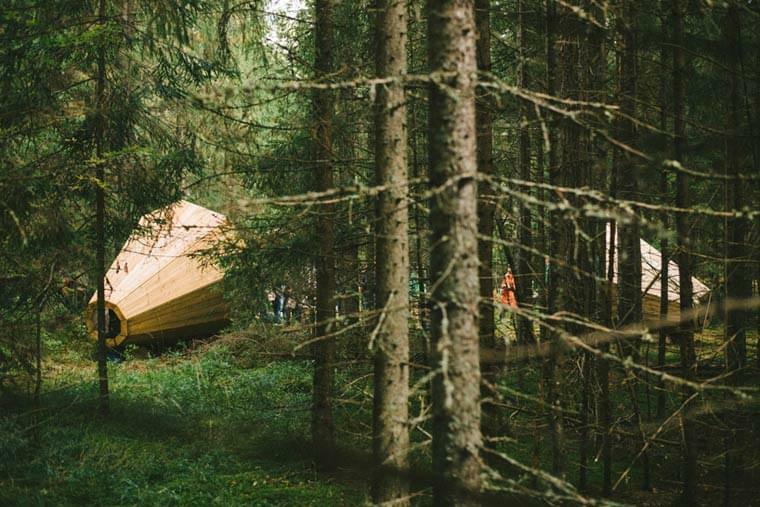 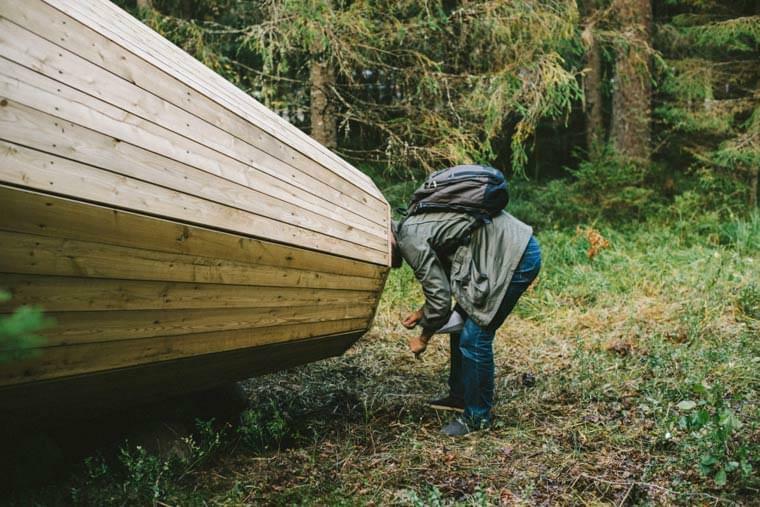 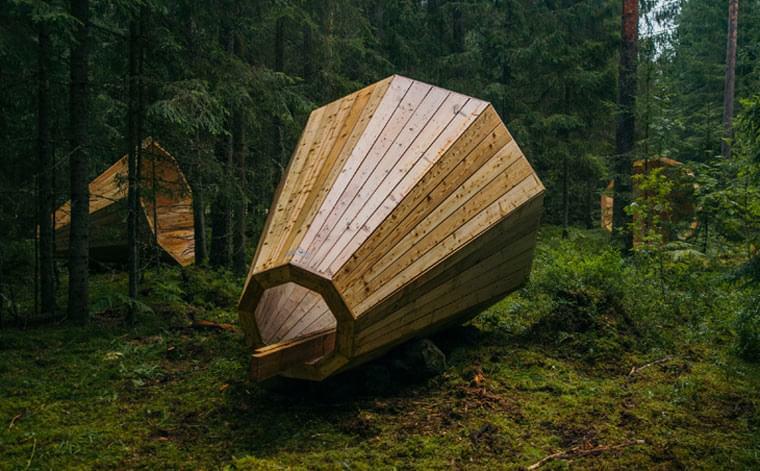 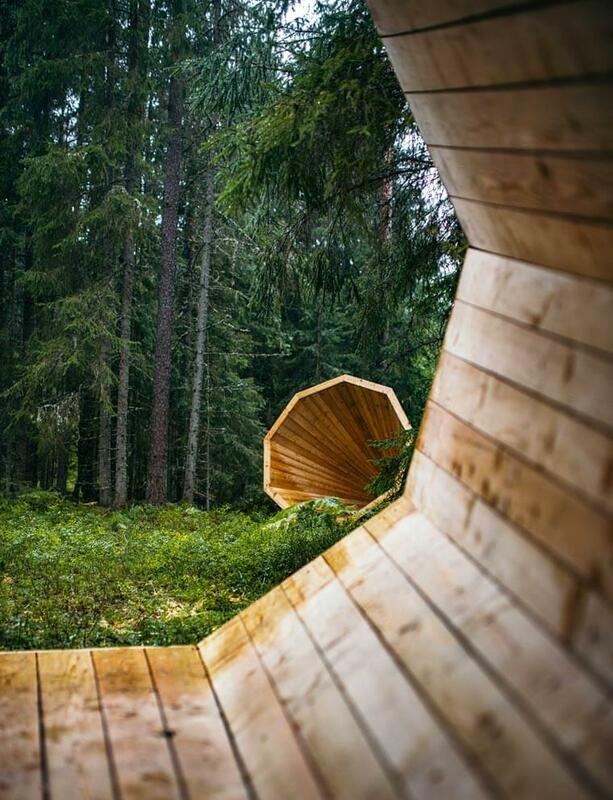 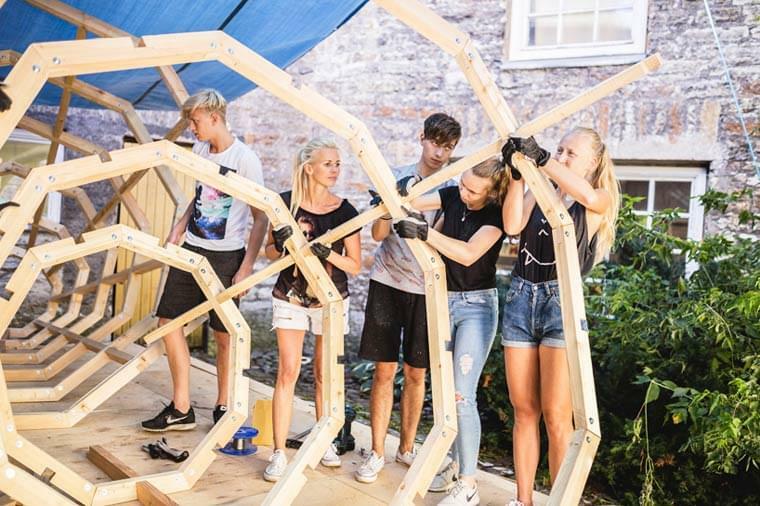 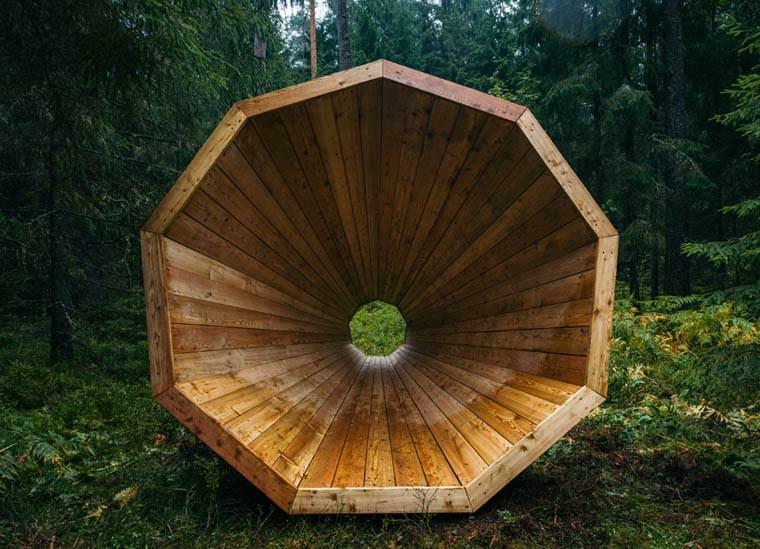 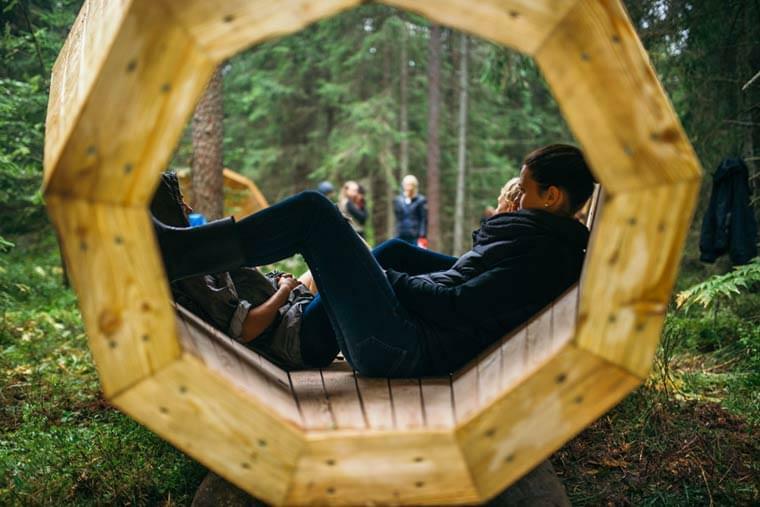 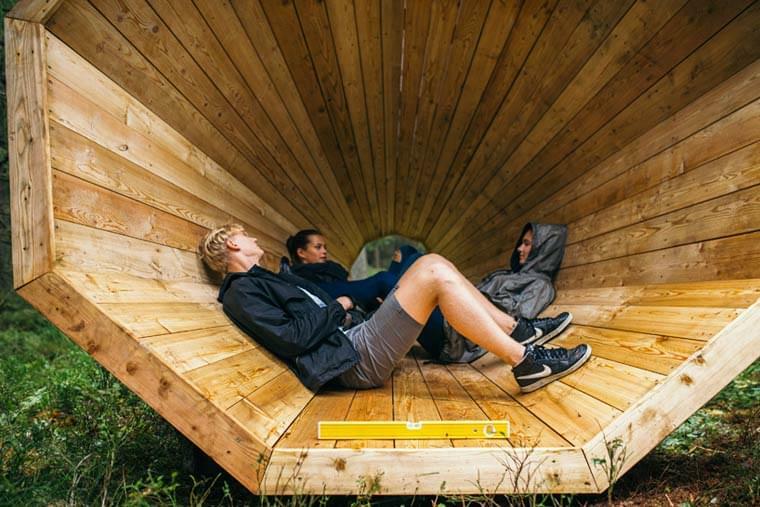 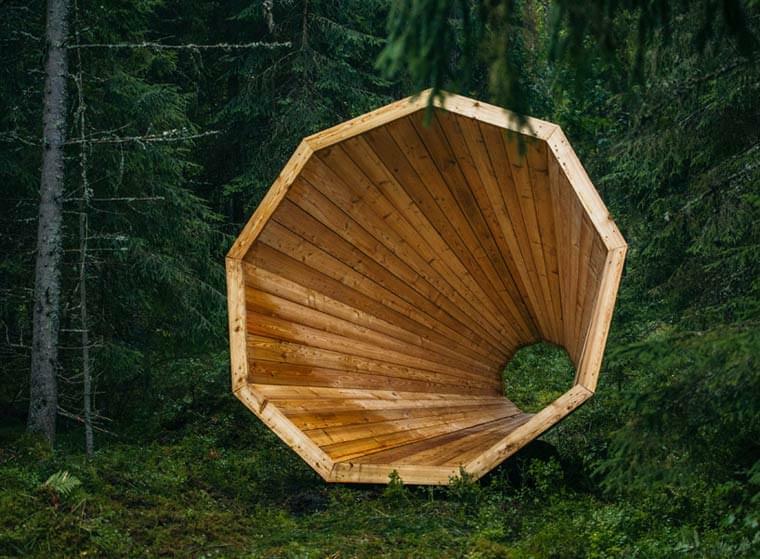 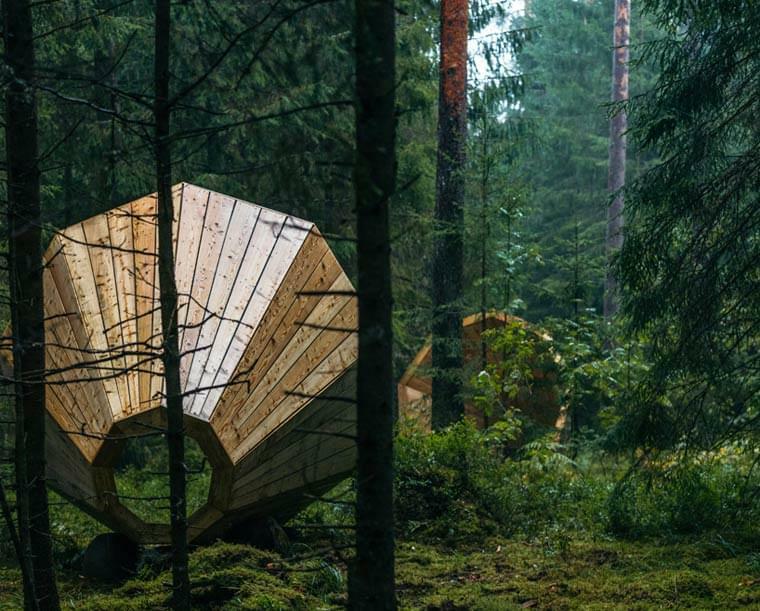 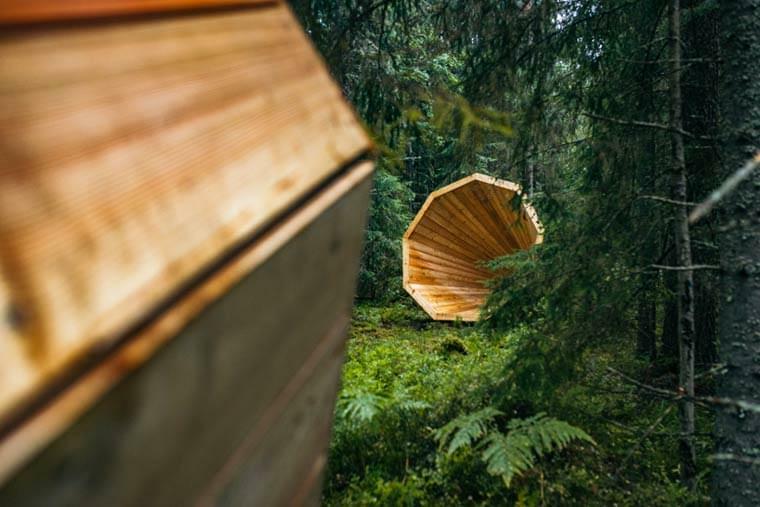 Between design, nature and architecture, students of the Estonian Academy of Arts have created an acoustic installation consisting of three giant wooden megaphones, three meters in diameter, to listen to the sounds of the forest. 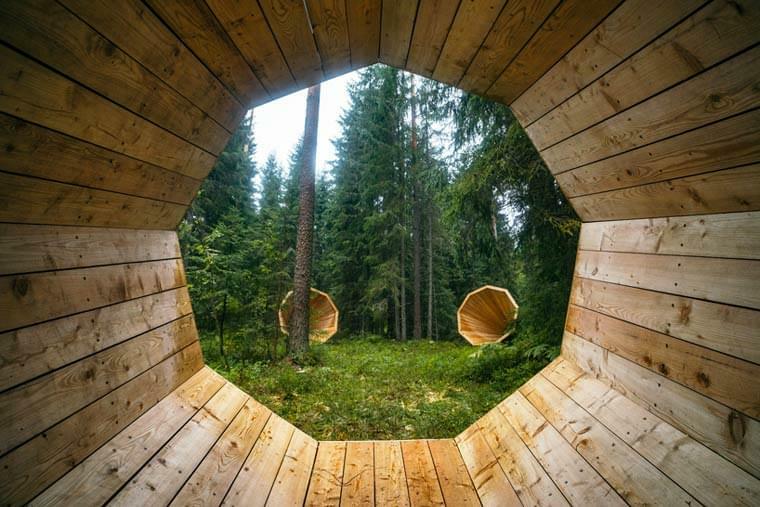 Acting as natural amplifiers, these wooden structures allow walkers to dive into the sound universe of the forest, birds and animals, but also offer a shelter, a place for contemplation and rest. 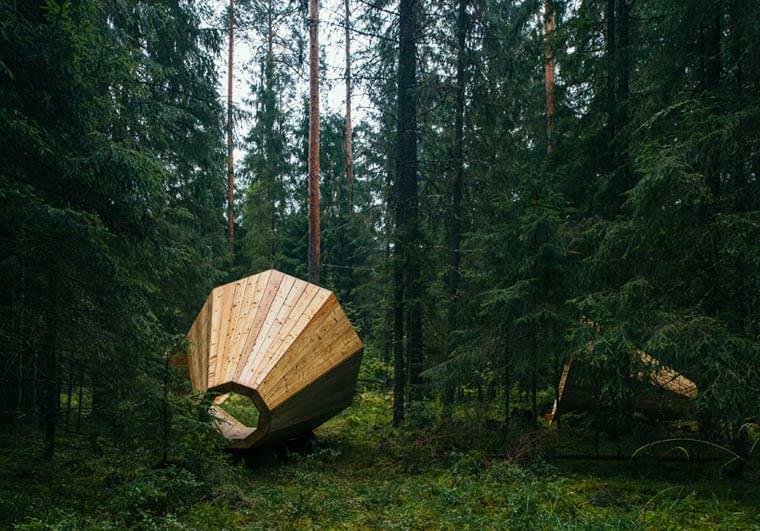 A beautiful and poetic project!